Regent’s Park Open Air Theatre in London has announced that four cast members from the 2016 Olivier Award-winning production of Tim Rice and Andrew Lloyd Webber’s Jesus Christ Superstar will reprise their performances this summer. Jesus Christ Superstar will now play August 11 through September 23. Broadway veteran Declan Bennett will return to the role of Jesus in the Open Air Theatre production. Also returning this summer are Tyrone Huntley as Judas, with David Thaxton and Peter Caulfield as Pilate and Herod, respectively. Bennett originated the role of Guy in the London production of Once, and has also appeared in Taboo, and on Broadway in Rent and American Idiot. As a solo singer-songwriter, his album Record:BREAKUP was released as a live acoustic version in 2013. 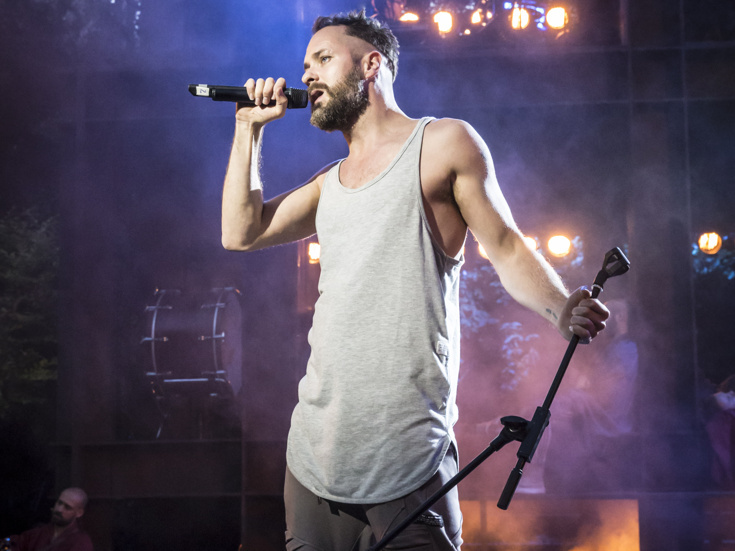 Huntley won the Evening Standard Emerging Talent Award for his performance as Judas in 2016, and earned an Olivier Award nomination for Best Actor in a Musical. He previously appeared in the Open Air Theatre production of The Gershwins’ Porgy and Bess, as well as Memphis, Hairspray, The Book of Mormon and most recently as C.C.White in the hit London-debut production of Dreamgirls. David Thaxton won the Olivier Award for Best Actor in a Musical for Passion and has appeared as both Enjolras and Javert in Les Misérables, Raoul in Love Never Dies, and Maximillian in Candida. He is a founder member of the band Divisions. Caulfield recently appeared in Doctor Who, and as Ariel in The Tempest. His other credits include One Man, Two Guvnors; Into the Woods and Enron. With direction by Timothy Sheader, design by Tom Scutt, choreography by Drew McOnie, musical supervision by Tom Deering, lighting design by Lee Curran and sound design by Nick Lidster for Autograph, Jesus Christ Superstar was a sold-out hit in 2016, and went on to win the Evening Standard Award for Best Musical and the Olivier Award for Best Musical Revival. It also received five additional Olivier Award nominations, Best Theatre Choreography, Best Lighting, Best Sound, Outstanding Achievement in Music and Best Actor in a Musical (Huntley).